Follicular unit transplant (FUT) is an advanced hair transplant procedure that incorporates the use of follicular hair units to restore hair in both men and women. The FUT hair transplant is one of two common techniques used for hair transplantations today. Depending on the patient’s hair restoration goals, the FUT hair transplant recovery time can take anywhere from one to seven days. Our hair transplant center in Tampa utilizes PRP for the FUT procedure to enhance the healing process and improve the recovery time. Learn more about PRP below. The average cost of FUT hair transplant in Tampa FL can range anywhere from $4,000 to $10,000. The price is dependent on the patient’s hair restoration needs to achieve optimal hair growth. 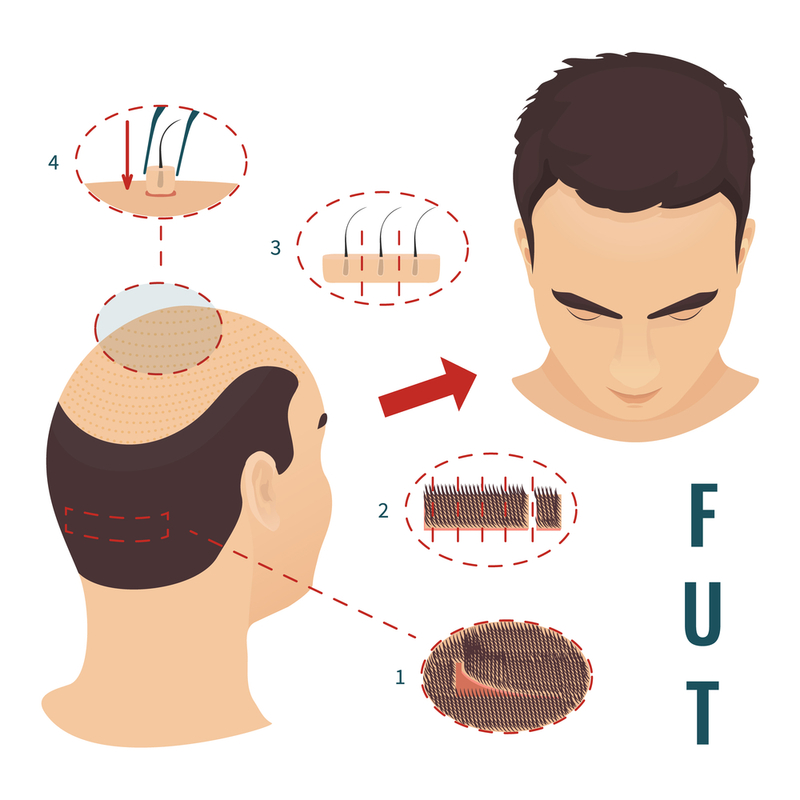 The average cost of FUT hair transplant at our hair transplant center in Tampa is $3,900. Instead of charging per graft like most centers, we charge a fixed price per session. Follicular unit transplantation (FUT) in Tampa is a hair transplant method that relocates healthy hair to the area that has been affected by hair loss. The FUT hair transplant is one of the two most popular techniques used in hair transplantations today. As the most experienced hair transplant center in Tampa, we offer both the FUE hair transplant and the FUT hair transplant procedures to provide our patients with a full-range of hair loss treatment options. Why Choose FUT Hair Transplant Tampa? It’s important to consult with a licensed hair transplant surgeon on the possible treatment options available to achieve your ideal hair restoration goals. Dr. Michael Markou is the primary physician at our Tampa hair transplant center. He is a board-certified Doctor of Osteopathic Medicine (D.O. ), and has played an influential role as a member of the International Society of Hair Restoration Surgery (I.S.H.R.S.) for more than 20 years. Considered as a medical leader in Tampa and all throughout Florida, Dr. Markou has dedicated his career to researching the latest advancements in hair transplantations and hair restoration procedures. This is how we ensure the best possible hair loss treatments are offered for our patients. Dr. Markou is currently offering FREE consultations for FUT hair transplant Tampa. Find out which procedure will work best for your hair restoration needs and receive a personalized hair regrowth strategy plan. Follicular unit transplant in Tampa is an advanced hair transplant procedure that utilizes the linear strip method to restore hair. This method transplants follicular units, or a group of 1 to 4 hair follicles that all grow together out of an individual pore. 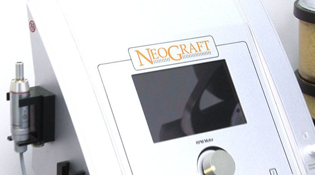 This allows for smaller graft sizes to be used to provide a more natural appearance compared to older hair plugs. FUT hair transplant Tampa is a procedure that usually lasts about 3 to 5 hours depending on the patient’s hair restoration needs. The procedure is virtually painless, but an anesthesia will be given to eliminate the potential of any discomfort. The FUT hair transplant removes a single strip of hair / tissue from the donor area. This is the area that has not been affected by hair loss, and is usually located on the back of the head or scalp. Individual follicular units will then be precisely dissected from the donor strip under high-powered magnification. The FUT hair transplant method allows grafts of various sizes to be harvested without the risk of damaging the unit. Removing the linear strip actually allows surgeons to cover more area at once, maximizing the amount of hair follicles that can be harvested in a single session. Once hair follicles have been harvested from the donor strip, they will then be transplanted back into the recipient area. This is the area that has been affected by hair loss, and is usually located on the top and front of the head or scalp. The way the follicular units are transplanted will determine your hairline appearance. This is why it’s important to consult with a licensed Tampa hair transplant physician, as they will determine the positioning and placement of the transplanted follicular units. Once the hair grafts have been transplanted, the donor strip will then need to be closed. In the past, many were concerned with noticeable scars from the FUT hair transplant and the strip harvesting method. This is why Dr. Markou in Tampa has developed a world renowned technique to help with any scarring concerns with the FUT procedure. The Markou LaserEdge Closure Technique is a laser-enhanced follicular strip method that ensures minimal scarring and a quick recovery. This procedure is strongly recommended for men and women in the more advanced stages of the hair loss cycle. The Markou LaserEdge Closure Technique involves the use of PRP with FUT hair transplant Tampa to promote the healing process and cell regeneration. PRP is platelet-rich blood plasma that has a concentrated source of growth factors. These growth factors work by replenishing any damaged tissues and accelerating new cell growth. For this linear strip closure technique, PRP is placed on the edge of a low-level laser and is beveled on the bottom edge of the linear strip. This decreases the scars overall appearance by promoting additional healing and stimulating hair growth through the closed strip. 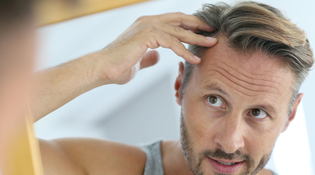 Learn more about platelet-rich plasma (PRP) for hair restoration in Tampa, Florida. FUT hair transplant Tampa provides natural and permanent hair growth results for both men and women. The transplanted hair will continue growing similar to the hairs still located within the donor site. The new hair growth will increase the elasticity and density of the hair follicles, allowing hair to become thicker and fuller over time. New hair growth from the Tampa FUT hair transplant procedure can be seen in as little as 3 to 4 months. Patients will notice substantial hair growth over the course of the next year, with the most noticeable results being seen anywhere from 6 to 9 months. The FUT hair transplant before and after photos to the right were all procedures done at our Tampa center. View more Tampa hair transplant before and after photos. Restore your hair and your confidence with FUT Hair Transplant Tampa. Tampa Bay Hair Restoration offers the FUT hair transplant procedure for patients in Tampa, Clearwater, Largo, St. Petersburg, Tarpon Springs, Dunedin, Miami, and the surrounding Florida locations. Dr. Markou is currently offering FREE consultations for FUT Hair Transplant Tampa. For more information regarding follicular unit transplantation or to learn more about any of our hair restoration procedures, please contact us today by filling out the form below or giving us a call at (727) 446-0608. Follicular unit transplantation (FUT) in Tampa is a hair transplant method that relocates healthy hair to the area that has been affected by hair loss. The FUT hair transplant is one of the two most popular techniques used in hair transplantations today. As the most experienced hair transplant center in Tampa, we offer both FUE hair transplant and FUT hair transplant Tampa to provide our patients with a full-range of hair loss treatment options. It’s important to consult with a licensed hair transplant surgeon on the possible treatment options available to achieve your hair restoration goals. Dr. Michael Markou is the primary physician at our Tampa hair transplant center. He is a board-certified Doctor of Osteopathic Medicine (D.O. ), and has played an influential role as a member of the International Society of Hair Restoration Surgery (I.S.H.R.S.) for more than 20 years. Considered as a medical leader throughout the state of Florida, Dr. Markou has dedicated his career to researching the latest advancements in hair transplantations and hair restoration procedures. 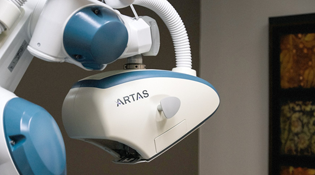 This is how we ensure the best possible hair loss treatments are offered for our patients. FUT hair transplant Tampa is a procedure that usually lasts about 3 to 5 hours depending on the patient’s hair restoration needs. The procedure is virtually painless, but an anesthesia will be given to eliminate the potential of any discomfort. The FUT hair transplant procedure removes a single strip of hair / tissue from the donor area. This is the area that has not been affected by hair loss, and is usually located on the back of the head or scalp. Individual follicular units will then be precisely dissected from the donor strip under high-powered magnification. FUT hair transplant Tampa allows hair grafts of various sizes to be harvested without the risk of damaging the unit. Removing the linear strip actually allows surgeons to cover more area at once, maximizing the amount of hair follicles that can be harvested in a single session. Once hair follicles have been harvested from the donor strip, they will then be transplanted back into the recipient area. 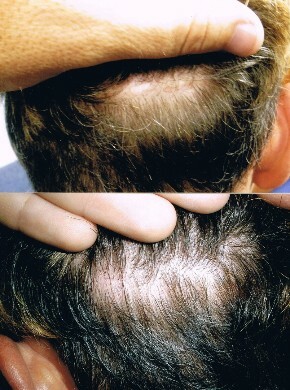 This is the area that has been affected by hair loss, and is usually located on the top and front of the head or scalp. The way the follicular units are transplanted will determine your hairline appearance. This is why it’s important to consult with a licensed Tampa hair transplant physician, as they will determine the positioning and placement of the transplanted follicular units. Once the hair grafts have been transplanted, the donor strip will then need to be closed. In the past, many were concerned with noticeable scars from the FUT hair transplant and the strip harvesting method. This is why Dr. Markou has developed a world renowned technique to help with any scarring concerns with the FUT procedure. The Markou LaserEdge Closure Technique is a laser-enhanced follicular strip method that ensures minimal scarring and a quick recovery. This procedure is strongly recommended for men and women in the more advanced stages of the hair loss cycle. The Markou LaserEdge Closure Technique involves the use of PRP with FUT hair transplant Tampa to promote the healing process and cell regeneration. 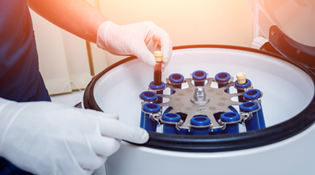 PRP is platelet-rich blood plasma that has a concentrated source of growth factors. These growth factors work by replenishing any damaged tissues and accelerating new cell growth. For this linear strip closure technique, PRP is placed on the edge of a low-level laser and is beveled on the bottom edge of the linear strip. This decreases the scars overall appearance by promoting additional healing and stimulating hair growth through the closed strip. Learn more about platelet-rich plasma for hair restoration in Tampa, Florida. FUT hair transplant Tampa provides natural and permanent hair growth results. The transplanted hair will continue growing similar to the hairs still located within the donor site. The new hair growth will increase the elasticity and density of the hair follicles, allowing hair to become thicker and fuller over time. New hair growth from the Tampa FUT hair transplant procedure can be seen in as little as 3 to 4 months. Patients will notice substantial hair growth over the course of the next year, with the most noticeable results being seen anywhere from 6 to 9 months. View more Tampa hair transplant before and after photos by Tampa Bay Hair Restoration. AM I A GOOD CANDIDATE FOR THE FUT HAIR TRANSPLANT? The FUT Hair Transplant is a suitable option for both men and women aiming to restore their hair, especially for those in the more advanced stages of hair loss and those who are not a good candidate for the FUE procedure. The hair transplant is not a suitable option for those who have completely lost all of their hair, as the procedure requires transplanting healthy hair to the area that has been affected by hair loss. The ideal candidates are those who do not wish to cut their hair and prefer to wear their hair in longer styles. HOW MUCH DOES FOLLICULAR UNIT TRANSPLANTATION COST? The cost of the FUT Hair Transplant procedure is determined during your initial consultation with your hair restoration surgeon. Most hair restoration centers will determine this price based off of how many hair grafts are required for harvesting and transplanting. This price can be as high as $7 per graft (1,200 grafts = $8,400). Unlike other hair transplant physicians, Dr. Markou charges patients based off of which stage of hair loss they are in – NOT how many grafts will be required for full restoration. By using this pricing method, we are able to save patients thousands of dollars and will harvest as many grafts required to fully restore their hair. The average cost of the FUT Hair Transplant at Tampa Bay Hair Restoration is $3,900. For exact pricing and to receive a customized hair restoration plan, please schedule your FREE consultation with Dr. Markou. WHAT’S THE DIFFERENCE BETWEEN THE FUT AND FUE HAIR TRANSPLANT? 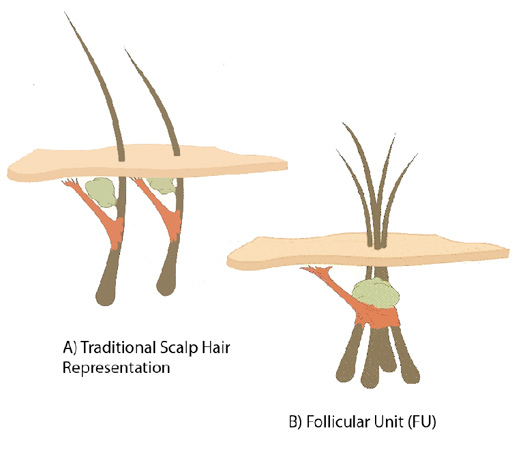 The follicular unit extraction (FUE) and the follicular unit transplantation (FUT) are the two most common methods used in hair transplants and differ in the way that hair follicles are harvested. 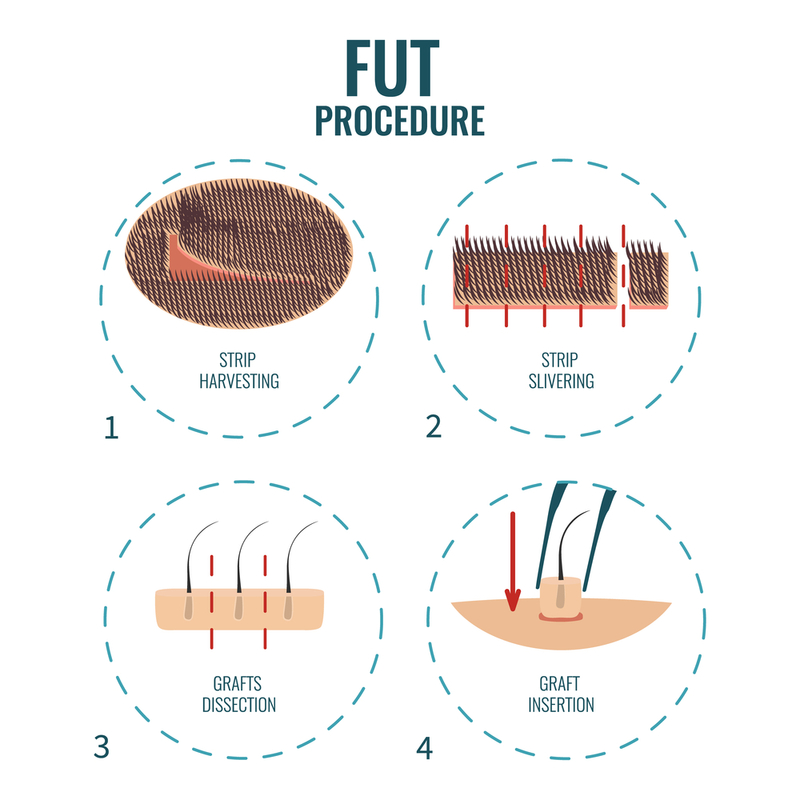 The FUE procedure individually dissects each hair graft for harvesting directly from the donor area, while the FUT procedure removes a small linear strip from the back of the scalp to dissect the hair grafts. 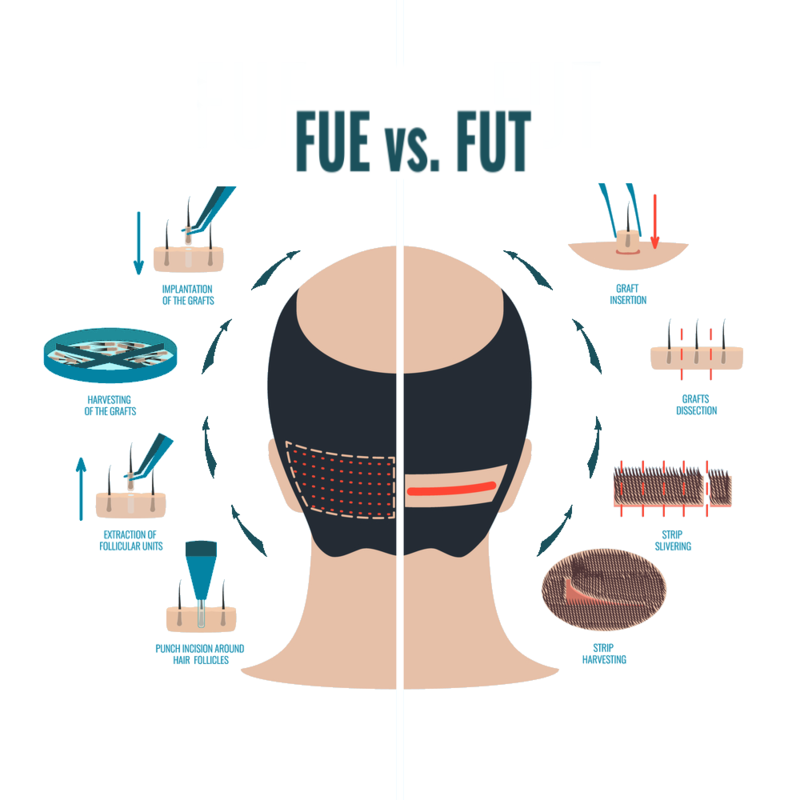 The FUT requires suturing to close the strip, while the FUE procedure does not. The FUT procedure allows for the highest yield of hair, meaning the most amount of high-quality grafts are harvested with the least amount of damage. This is why the FUT Hair Transplant is strongly recommended for those in the more advanced stages of hair loss or those who want maximum fullness in a single session. DOES THE FOLLICULAR UNIT TRANSPLANTATION PROCEDURE HURT? The follicular unit transplantation is a relatively simple procedure that’s virtually painless and requires very little downtime. Anesthesia will be given to rid the scalp of any pain or discomfort for the patient. Some patients report minor discomfort or swelling in the donor area after the hair transplant procedure. Depending on your pain threshold, pain medications can be prescribed by the doctor if needed. DOES THE FUT HAIR TRANSPLANT LEAVE A SCAR? In the past, many were concerned about noticeable linear scars due to the FUT Hair Transplant procedure using the linear strip harvesting method. Dr. Markou has pioneered a laser-enhanced follicular strip method with the Markou LaserEdge Closure Technique to help with any of those scarring concerns. This technique uses platelet-rich plasma (PRP) to enhance the healing process and promote further cell growth, allowing the linear strip to completely heal and new hair to grow through where the scar would have been. 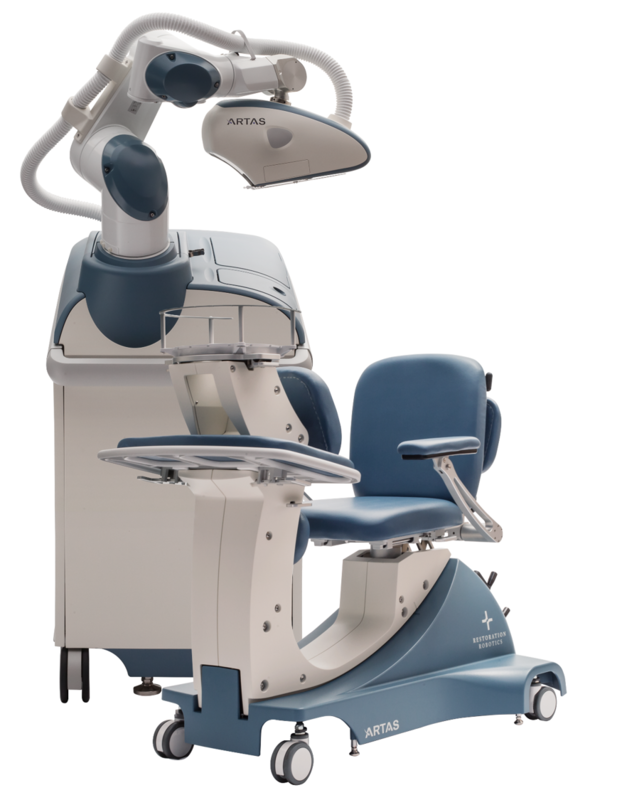 This technique is strongly recommended for patients with advanced hair loss, as the procedure will be virtually undetectable. ARE THE FUT HAIR TRANSPLANT RESULTS PERMANENT? The FUT Hair Transplant produces natural-looking results that last. Hair in the donor area is not affected by the chemical DHT, one of the main influencers of pattern baldness and alopecia. Once hair has been harvested and transplanted, it will continue to grow the same as it would in the donor area. Patients can expect to see results in as little as 3 months, while substantial hair growth continuing over the course of the year. The most noticeable results can be seen 6 months after the hair transplant procedure. DO I NEED TO CUT MY HAIR BEFORE RECEIVING THE FUT HAIR TRANSPLANT? Unlike the FUE, the follicular unit transplantation does not require the patients to cut their hair. Since a small strip is removed from the back of the scalp, the physician is able to identify and harvest the most optimal hair follicles under microscopic magnification without the need of shorter hair. ARE THERE ANY RISKS OR COMPLICATIONS WITH THE FUT HAIR TRANSPLANT? Infections after a hair transplant procedure are extremely rare. In the very few cases where an infection occurs, it’s almost always due to the patient not properly following the post-procedure instructions and care. When an infection does occur, it is easily treatable with antibiotics prescribed by the surgeon. Dr. Markou will also prescribe antibiotics the day of the procedure if you’re prone to infections.